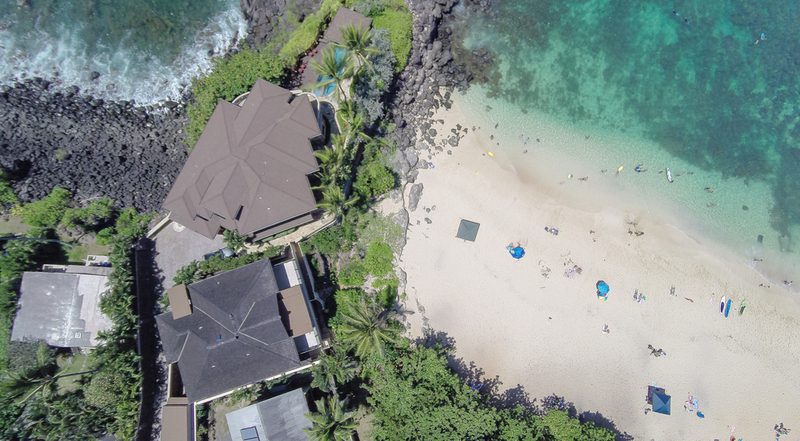 Make this luxury beach-front property in North Shore your next home or island getaway! The Fortress has countless upgrades- no detail has been spared. 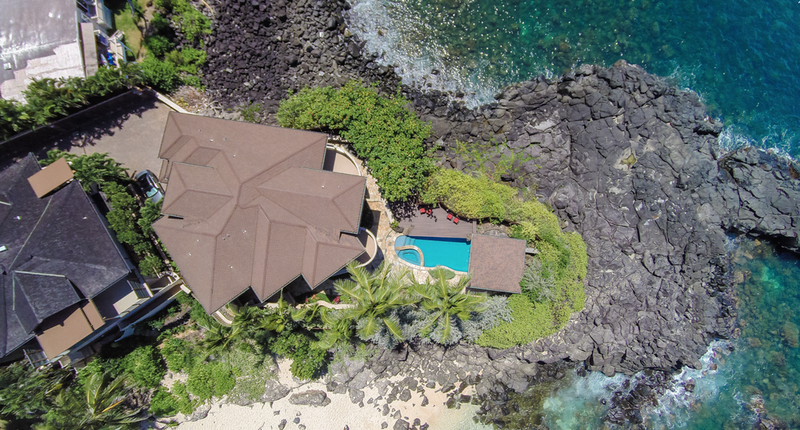 Plus, this property offers you a front seat view to world-famous surf spots, such as Three Tables Beach and Waimea Bay. Explore further below! 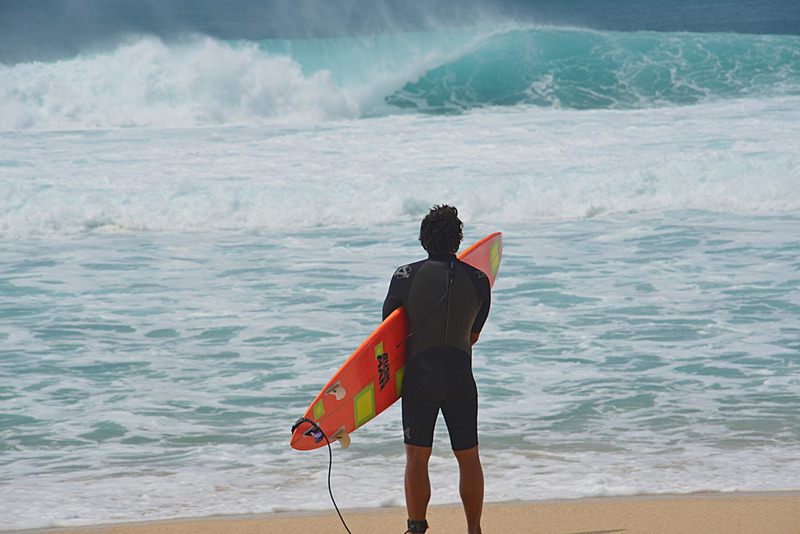 Make world-famous surf spots your front yard! 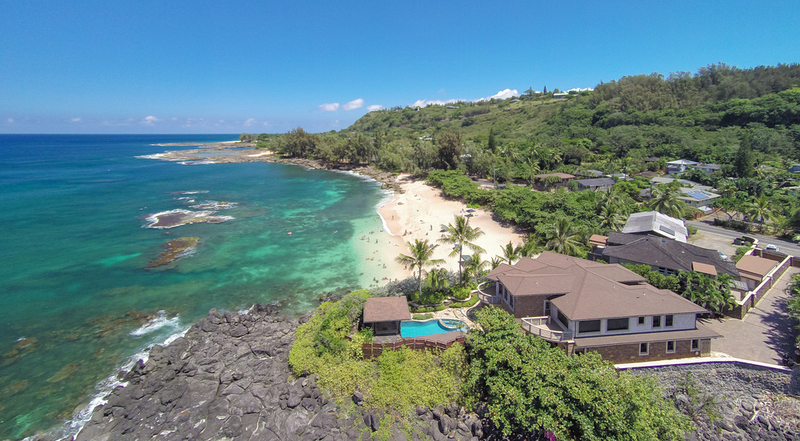 Referred to as “The Fortress,” this private oceanfront property on Oahu’s world-famous North Shore is located on a peninsula between Waimea Bay and Three Tables Beach and is protected by a natural seawall. 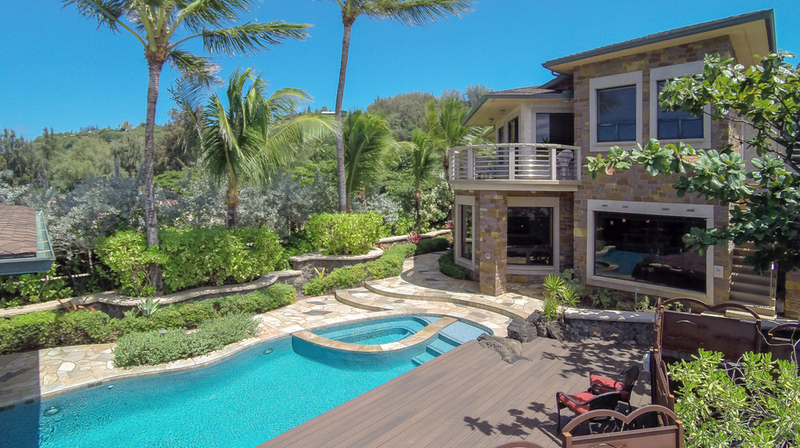 With 4,100 square feet of interior living space, the home features high ceilings, 5 bedrooms with en suite bathrooms, 4 lanais, custom windows with hurricane-rated glass, central air conditioning, surround sound system, and a high-tech security system. Interior appointments include walnut cabinetry, granite and Corian surfaces, and custom built-ins. This highly upgraded home can also be purchased with the Three Tables Residence next door. Featuring Waimea Estates on the North Shore of Oahu, Hawaii. 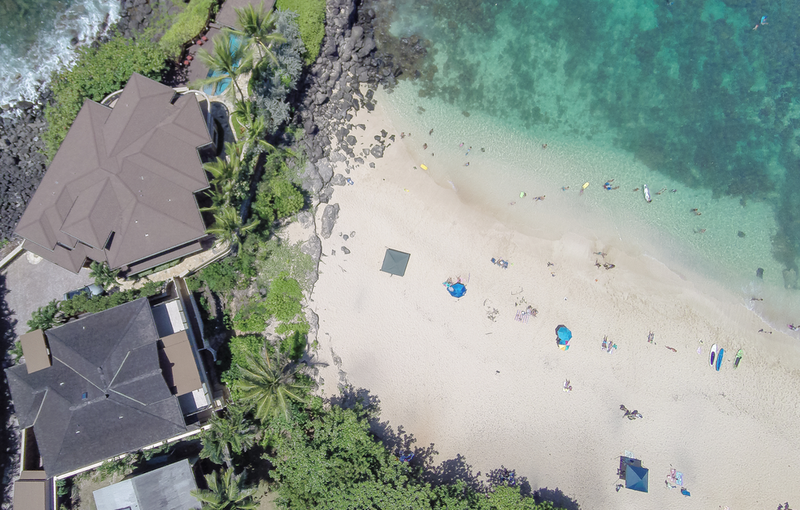 The ocean is your front yard at the Waimea Point Residence, and you are gifted with a front-row seat to world-class surf. 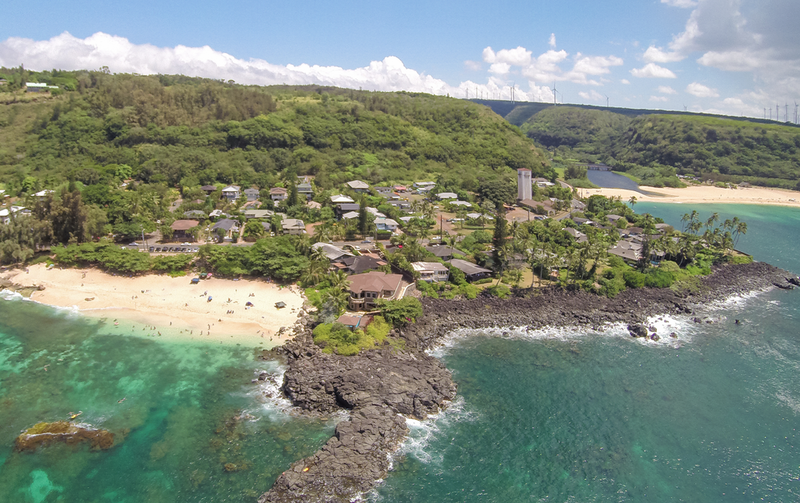 The last surf competition to occur at Waimea Bay was the Eddie Aikau Big Wave Competition in 2016. Earning its place on the map as one of the most famous surf spots in the world, the competition drew audiences every winter for the experience level of those challenging its breathtaking waves since 1957. 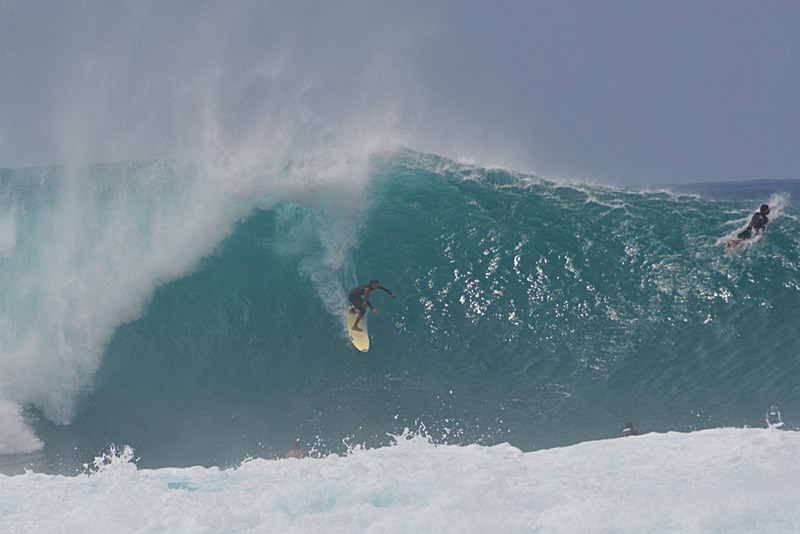 In memory of the first lifeguard to work Waimea Bay, legendary Eddie Aikau, the Quicksilver Big Wave Invitational only takes place when the Waimea Bay waves are over 20 feet, and, as previously mentioned, the last time the competition took place was in 2016. It is unknown when the next competition will occur. Summers offer a more serene backdrop with calm, crystal clear, sunbathing water. This is the season to take advantage of the bays beautiful snorkeling and Scuba diving, as well as the popular "Jump Rock." Upon hearing the local news on January 22, 2014 about a giant northwest swell that was expected to generate 40–50 foot waves on Oahu’s North Shore—the biggest waves seen there in the last 10 years—Jack and I quickly accepted the kind invitation of our dear friend and client, Dr. Tom Yue, to stay at his private Waimea Point residence (which we have nicknamed “The Fortress”) to witness the magnificence of it all in person. We left our home in Honolulu at 10:30 a.m. and headed west on the H-1 freeway then north on H-2. It was a leisurely drive up to that point as traffic was light. Once in Haleiwa, the traffic was much heavier as we had expected, so we stopped to pick up lunch in Haleiwa Town. 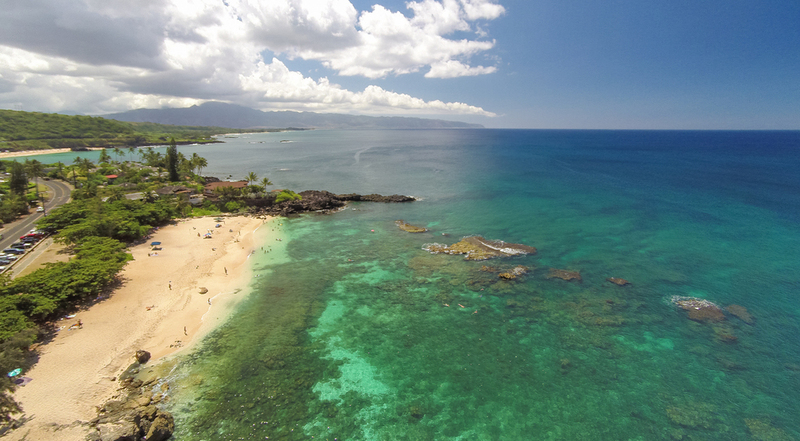 On a normal day, the five mile drive from Haleiwa Town to Tom’s residence at Waimea Point (just past Waimea Bay) would take 15 minutes tops. That day, it took two hours! As soon as we pulled into Tom’s driveway, we could hear the thunderous pounding of the waves nearby. It sounded like the continuous roar of a thousand lions! We entered The Fortress, which is air-conditioned and so well insulated that you could not hear the pounding of the incredible waves just offshore. This showed us just how well-built the house is. The home lays on a solid stone foundation that is four feet deep, and the Tuscany rock walls along the perimeter of the property are impeccable. Every part of this home was well-conceived and custom built-ins are seamlessly featured throughout. 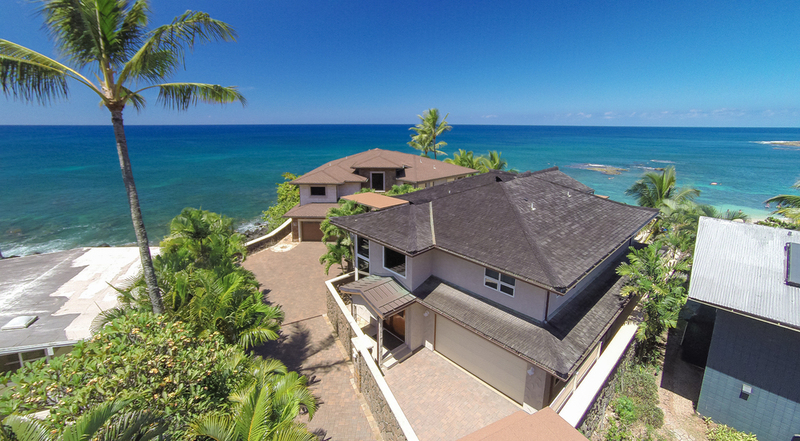 This home is certainly the best in quality and the nicest looking in the Waimea Bay area. Jack and I thought this would be the perfect place for a corporation to send its executives to vacation and unwind. 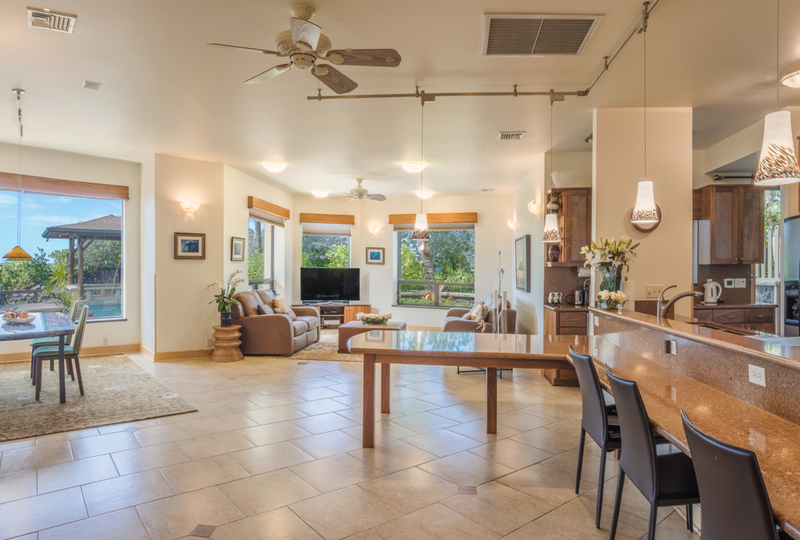 After lunch, we headed up to the entertainment room on the second floor of the home where we were able to enjoy a private, close-up view of the spot where the world-famous Eddie Aikau big wave surfing event is held annually. The view is spectacular—a Million Dollar view that is simply unbeatable! Later in the afternoon, we watched the waves from the private poolside pavilion outside. The ominous waves continually rushed in toward us as if to challenge The Fortress, but the rocks at the property’s edge broke up the waves and defended the home from Mother Nature’s ongoing display of power. It truly was a humbling experience.